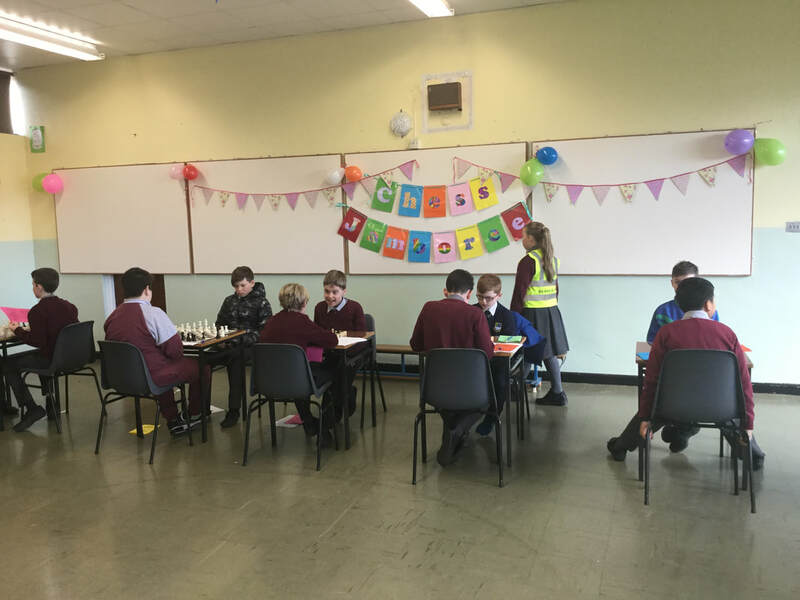 8 members of our Chess Club participated in a Chess Tournament in Staplestown, Co. Kildare organised by Ficheall.ie. 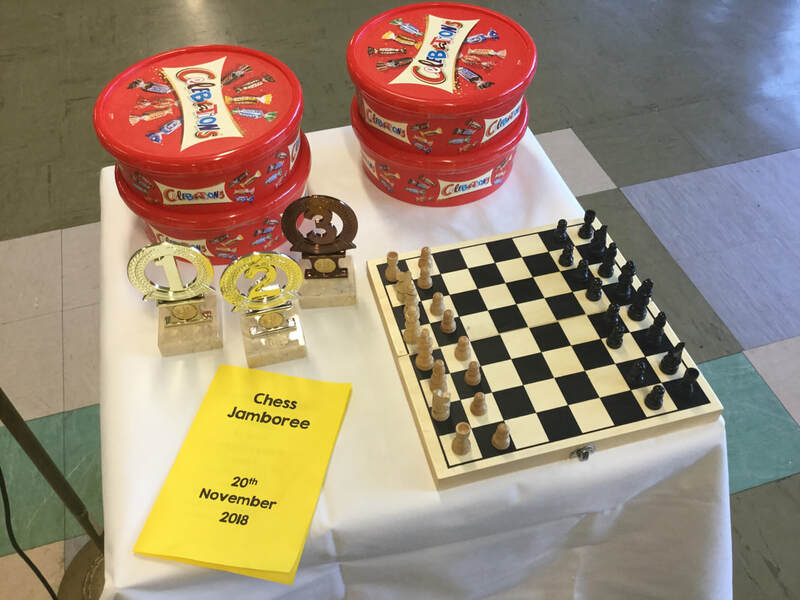 We progressed to the second round and came second overall as a team. 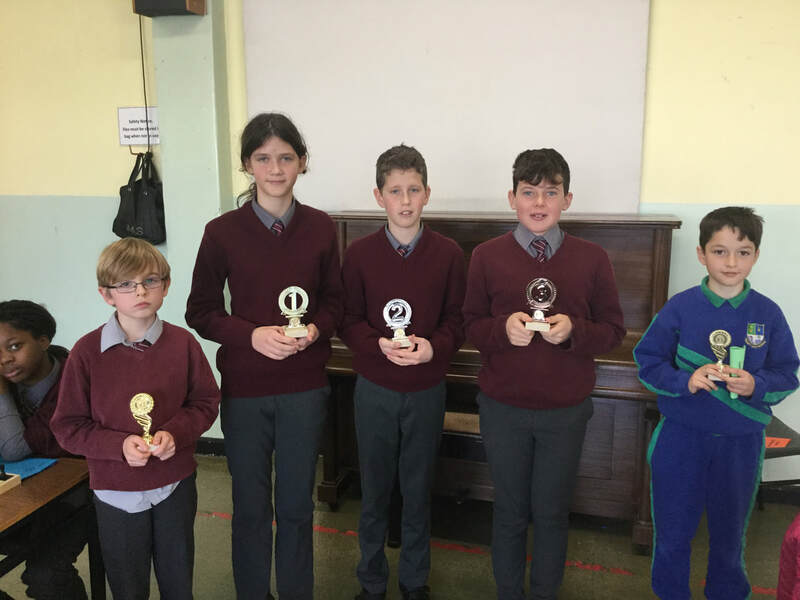 We also received three individual prizes. 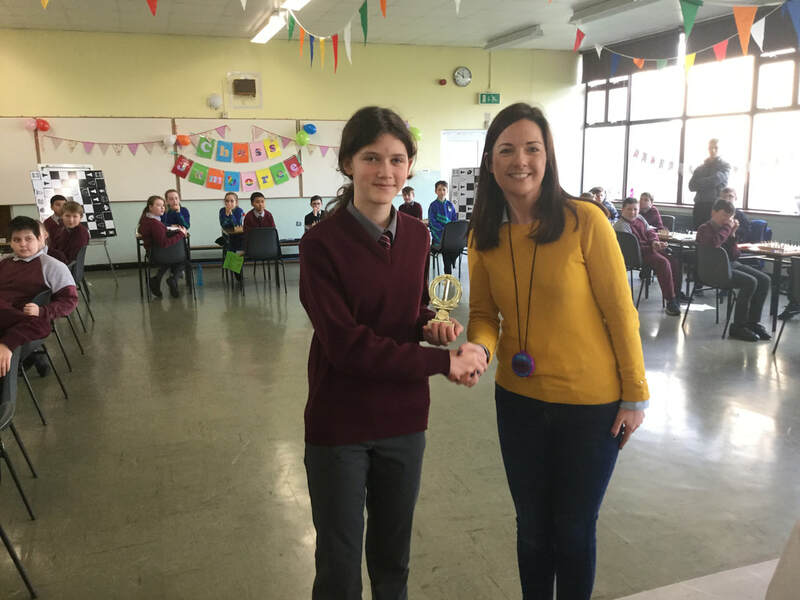 Shane O’Dowd received third place and Lara and Leon Putar received joint first place! 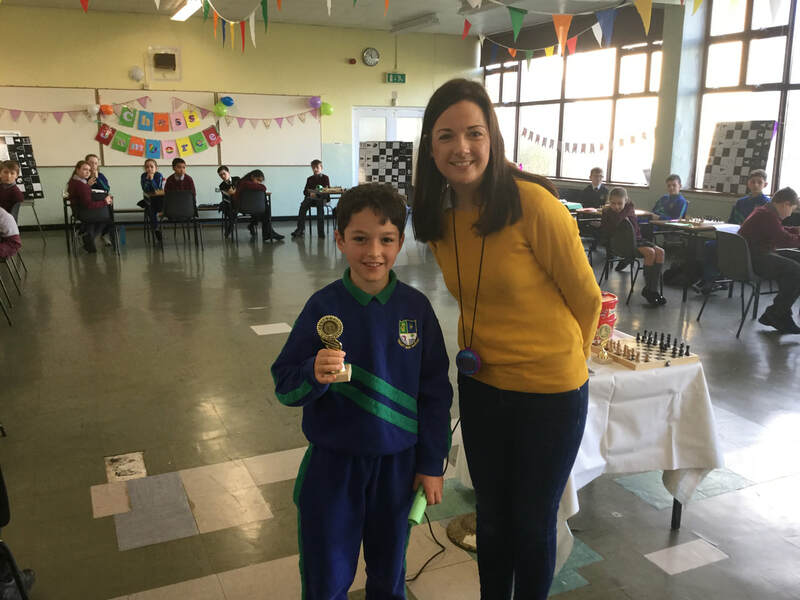 Many thanks to Ms. O’Donnell for accompanying us to both competitions. 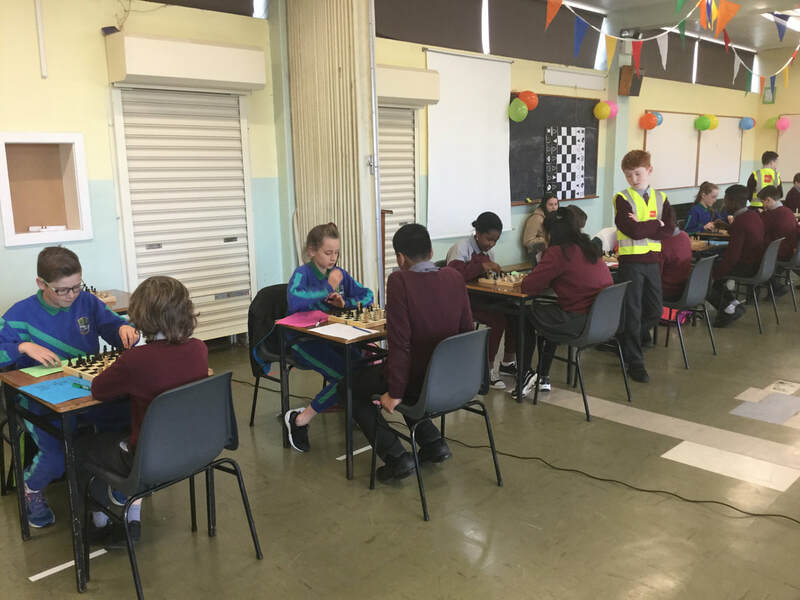 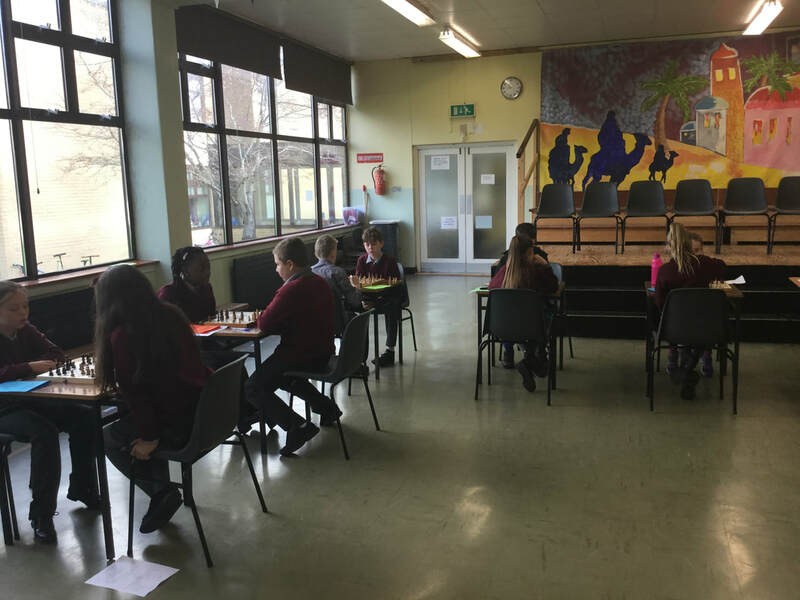 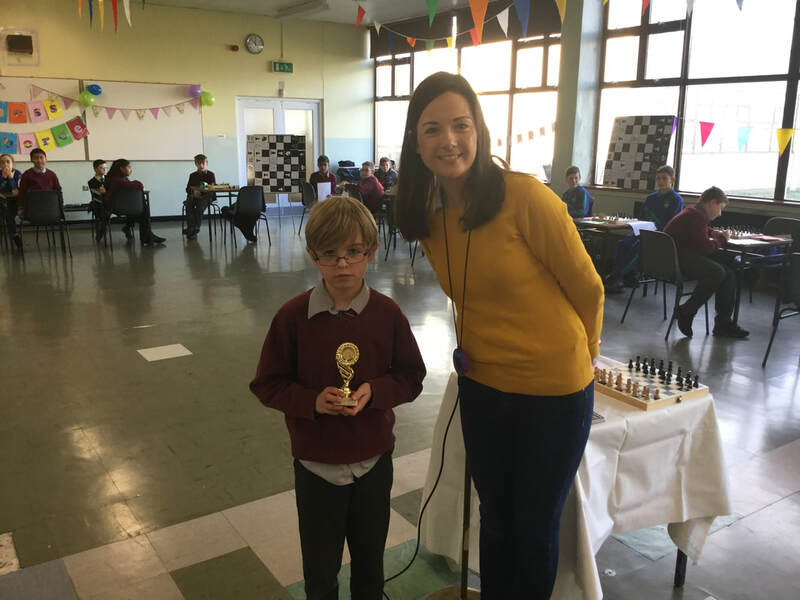 Ms. O'Donnell and Ms. Doyle hosted Scoil Mhuire's first ever Chess Jamboree on Tuesday 20th November. 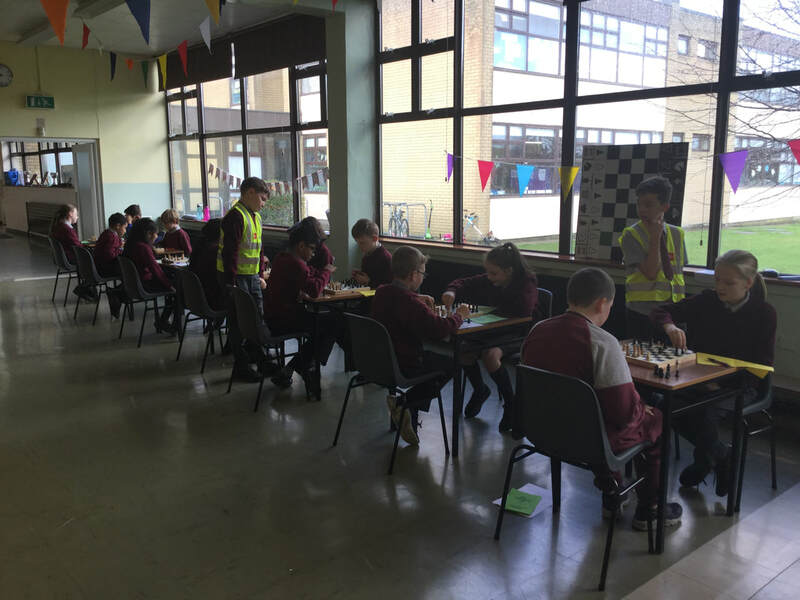 There were 60 students in total taking part from Scoil Mhuire, Scoil Bhríde, Scoil Eoin Phóil and Scoil Uí Dhálaigh. 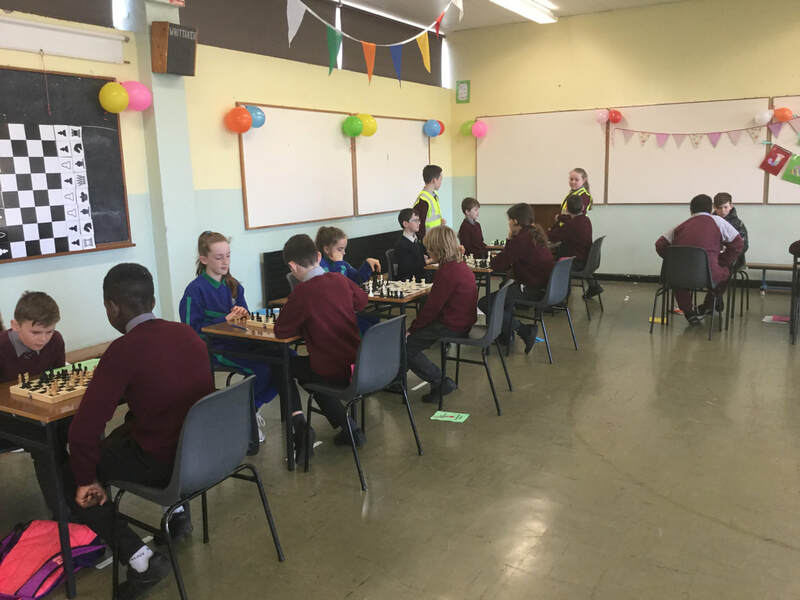 Each school had 15 students participating from 4th, 5th and 6th classes. 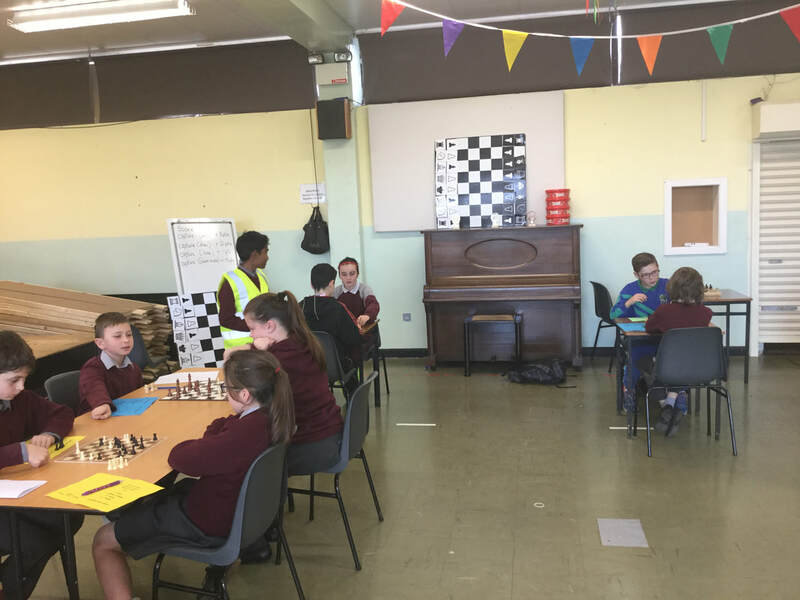 The students played 6 games each with each game lasting 10 minutes. 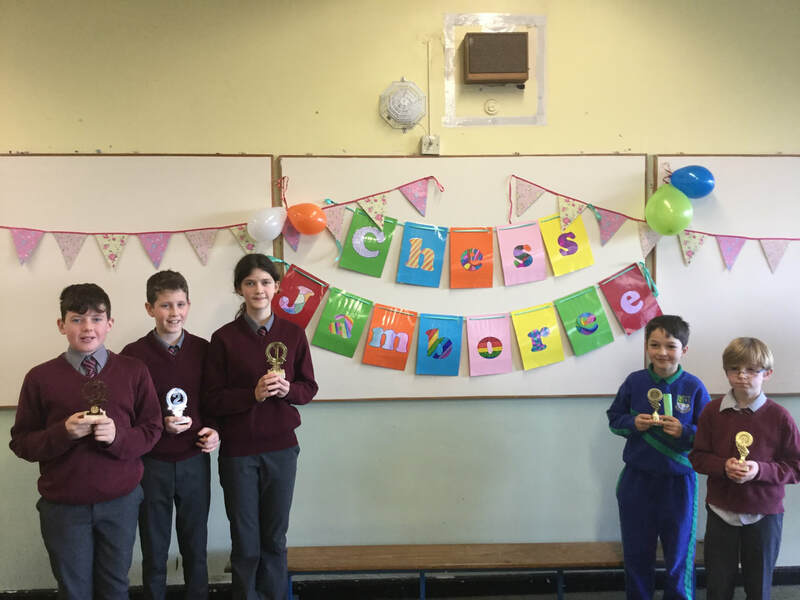 Invigilators from 6th class helped keep time and keep track of the score. 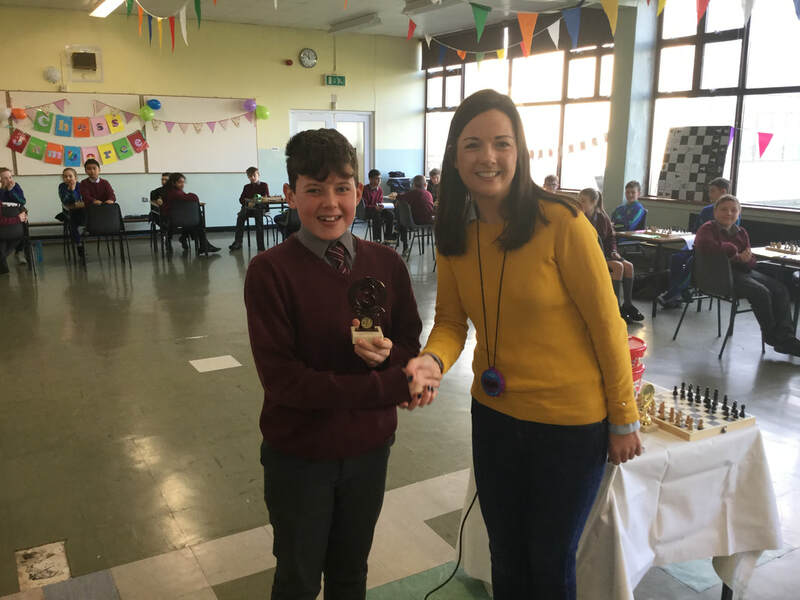 It was a fantastic tournament and we are very grateful to Ms. O' Donnell and Ms. Doyle for organising the event and giving students the opportunity to showcase their talent.